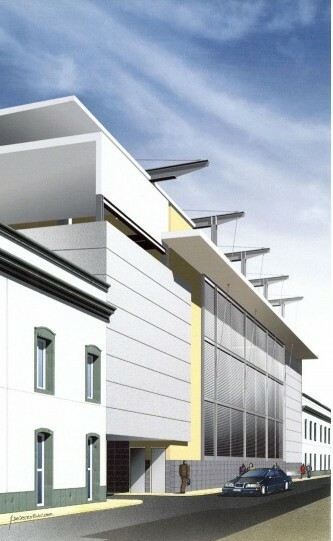 Central is the word that best describes the location of these apartments. 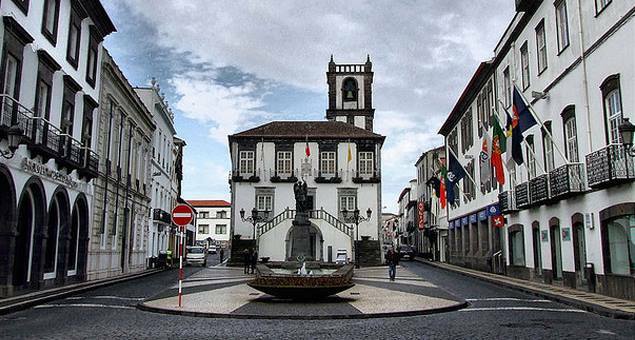 They are right in the historical center of the city of Ponta Delgada. Three apartments in the building at Rua Machado dos Santos, nº90, and one apartment nearby at Rua do Castilho, nº67, opposite the Antero Quental Garden. All monuments and points of interest are only a short walk away. You are within walking distance of the sea with its marina, internationally-recognized cruise ship port and public pools. 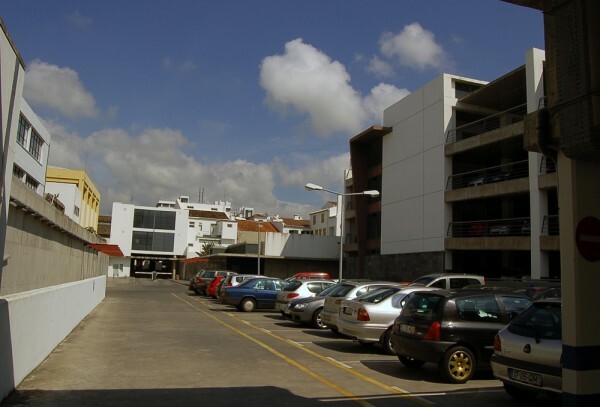 The Ponta Delgada Airport is just a short distance away (5-8 minutes by car). You will be met at the airport even if you rent a car. We want you to have a relaxing vacation. Our service begins the moment you arrive. There is a supermarket near the apartments where you can buy bread, vegetables, fish, meat, etc., everything fresh and every day. Very convenient, you will buy according to your needs. There is a great selection of restaurants and cafés nearby – the most difficult part will be choosing! The Azores is one of the best locations for whale watching. There are daily trips of about 3 hours all year round. To enjoy one of these trips just take a 5 minute walk to Marina Pero de Tevo. In the Marina you can also find dive centers, which can provide you with very varied dives with marine life, shipwrecks and unforgettable moments. For a night out you don’t need transport, all attractions are accessible on foot. 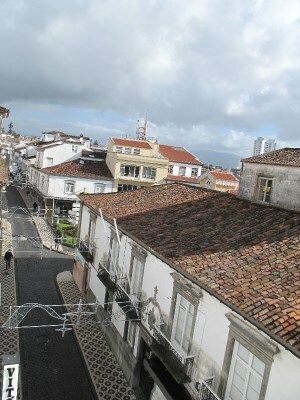 With plenty to choose from, the historical center of Ponta Delgada is fast becoming a magnet for tourists. 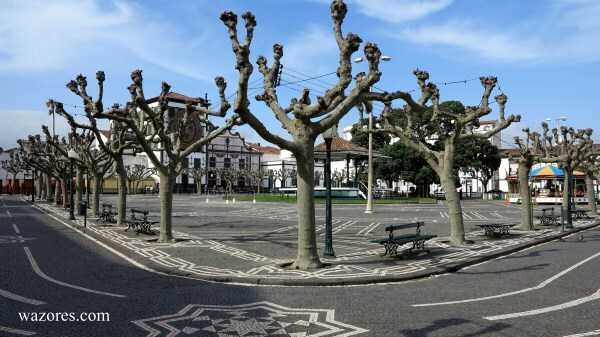 Machado dos Santos is one of the main arteries of the city of Ponta Delgada with easy access to all the attractions that this city has to offer. 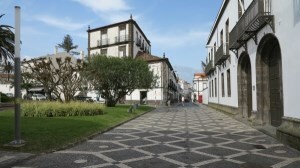 It is the ideal starting point for visiting the whole island of Sao Miguel. In this street we have 3 apartments! The City Gates are the emblematic monument of our city. These arches, a symbol of the city's first defense, were erected in 1783. 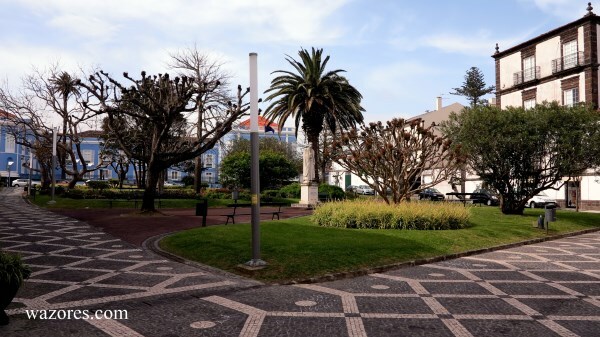 In 1948, they were transferred to the Gonçalo Velho Cabral Square when the construction of Avenue Infante D 'Henriques seaside promenade began. 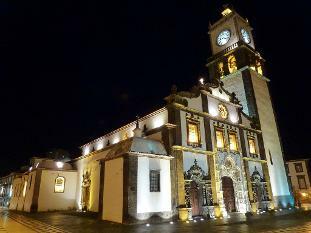 Matriz Church is considered one more property of public interest. Its construction dates back to a chapel under the invocation of São Sebastião, built after a great plague that devastated the city. The construction of the current church took place between 1531 and 1547. 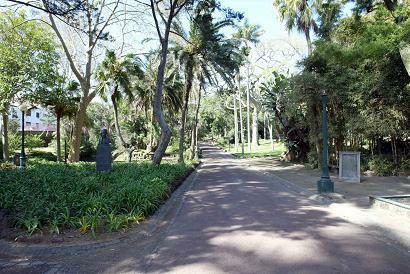 São Francisco Field, one of the oldest public parks in the city of Ponta Delgada, was created in the 19th century. It is located in front of the Holy Christ Church. During the summer months, São Francisco Field is one of the places of great nightlife in the city for enjoying musical concerts and tasting regional delicacies. Thousands of people visit São Francisco field during the festival of the Holy Christ Lord, when it takes on a life of its own with a dynamic not found in any other place. 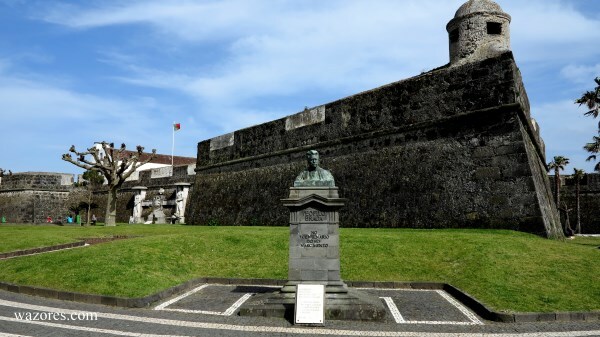 Antero Quental Garden honors the poet Antero de Quental born in Ponta Delgada in 1842. This garden with its grassy, landscaped area has a very cozy ambiance. There is a fountain in the shape of a cross in the center of the garden. It stands out as a monument to art deco style designed by Canto da Maia (S. Miguel sculptor ) in honor of the poet Antero de Quental . Here, facing the garden, we have an apartment. 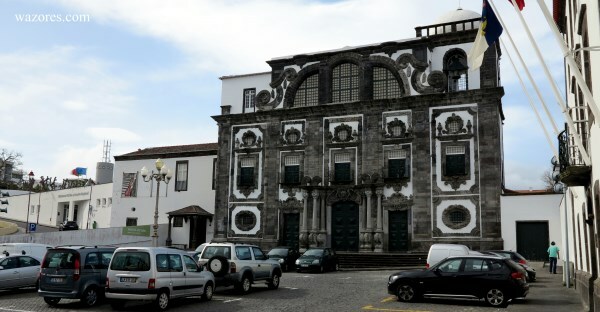 The old Jesuit College Church of the city Ponta Delgada, São Miguel island. On the 1st December 1592, All Saints Day, the cornerstone in the construction of this church was set. Renovated and reclassified since 2004, it is home to the core of religious art of the Carlos Machado Museum, with special focus on the painting "The Virgin Coronation". José Joaquim de Sena Freitas Natural from São Miguel island was born in July 1840. Sena Freitas was one of the most notable Portuguese Catholics of the period of liberalism. He published an extensive set of works. Sena Freitas died in Brazil in December 1913, his ashes returned to São Miguel in March 1925. A public garden was built in his honor, called Sena Freitas Garden, where his statue was erected. São Brás fort considered the most important example of military architecture of the sixteenth century and the most powerful fortification of the island, was erected on one end of the primitive Ponta Delgada anchorage, with the function of their defense against the attacks of pirates and corsairs, once common in this Atlantic Ocean region. The strong construction of this fortification was due to the requests of the islanders who stressed the need to protect the island to D. John III (1521-1557). Baroque building from the late seventeenth and early eighteenth century, with a bell tower dated 1724. Right now this tower can be visited and you can enjoy a magnificent view over the city. Pools of São Pedro are located on the promenade along the marina complex. 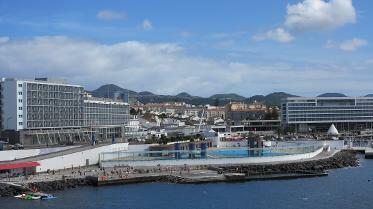 There is an Olympic swimming pool, a diving pool, a children's pool and direct access to the sea. These facilities are just 5 minutes walk from the apartments. 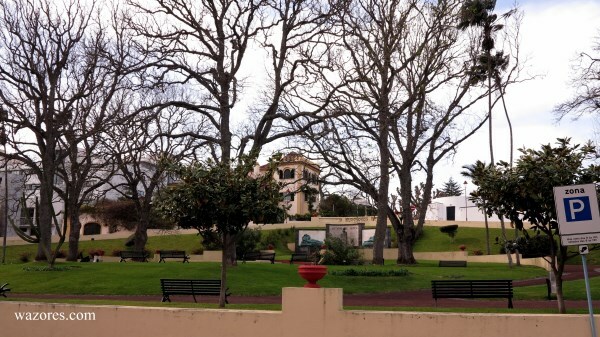 Antonio Borges garden is one of the largest green spaces in the Ponta Delgada city. It is a municipal park and the site of multiple sports, recreational and cultural activities. The garden was planted on the Antonio Borges de Medeiros property. An Azorean merchant and politician interested in botany, he imported to São Miguel island hundreds of exotic species, turning his property into a true botanical garden. There is a very efficient public transportation network, which covers the entire area of the city. 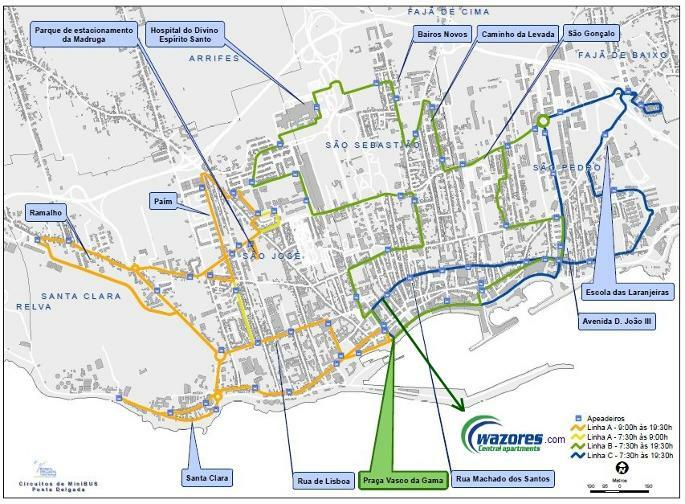 This is the map of the city of Ponta Delgada and its mini bus network which is divided by color: Blue, Green and Yellow. This mini bus network as you can see on the map can cover the entire area of the city. All of our apartments have mini bus stops at the door. San Miguel Island is well served by public transport. The main bus stop is at Avenida Infante D 'Henrique near the Tourist Information Office, where you can access buses of the three companies that operate on the island. The walk from the apartments to the Tourist Information Office bus stop is approximately 3 minutes. Click this link http://www.smigueltransportes.com/ for all the bus routes and timetables. Taxis are right on your door, 1 minute walk,and at your disposal 24 hours a day. The main taxi stand of the city is in the square of the City Gates. You can always opt for a tour of São Miguel island. No worries, a great way to make sure to see everything this island has to offer. Azores4Travel is the guarantee of affordabilty, friendliness and great memories. Be sure to contact Azores4TRavel to discuss your wishes. If you choose to rent a car, it is normal to worry about parking but there are many parking solutions. Near the apartments there is a metered parking lot, which is not a problem for those on holidays who spend most of the day outside the city. Payment for parking is required from 8 a.m. until 7 p.m. For example, if you return from sightseeing about 5 p.m., you would pay to park from 5 p.m. until 7 p.m. Any additional amount paid would be applied to the following day starting at 8 a.m. You need to know what time you will leave the next day. There are also free parking spaces in the streets around the apartments, but during the day they tend not to be available. After business hours,however, free spaces can be found. There is private parking at a special price for Wazores’ guests looking for an easy, economical solution. We offer 24 hour parking in a garage with 4 floors, at a distance of ~ 350 meters from the apartments for 25€ per week (special price for our guests). We guarantee that parking will not be a problem. Security is always a legitimate concern. 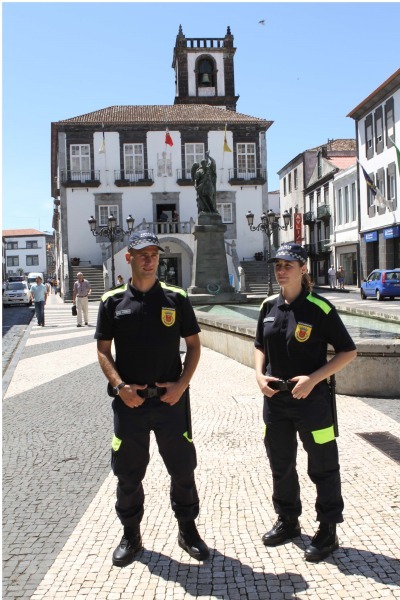 The city of Ponta Delgada and the Azores in general are safe. You can stroll at any time of day or night. There is a Municipal Police station 100 meters from the apartments and the Public Security police station is 750 meters away. 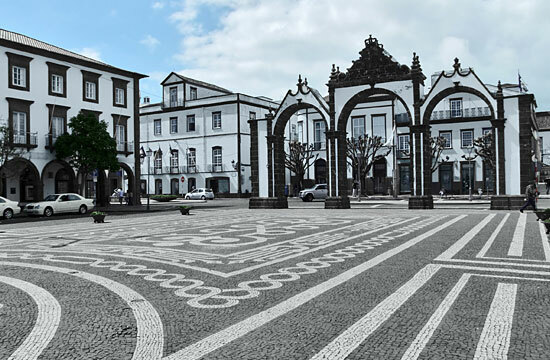 Ponta Delgada is a very quiet and safe city!